The perfect compliment to any meal, Muzzy's Magic Texas Seasonings provides a zesty blend of peppers and spices guaranteed to perk up your favorite dishes! Our Texas Seasonings were inspired by family recipes and are the secret ingredient to the fabulous BBQ served at Colonel Muzzy's Texas BBQ restaurants. 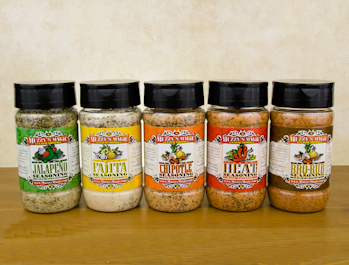 Join the thousands of customers who love Muzzy's Magic Texas Seasonings, give it a try!